Proposal 1, the potential legalization of marijuana in the state of Michigan, was one of the larger discussion items on the agenda for the Oct. 22 Williamston City Council meeting. Voters have the opportunity to legalize the recreational possession, production and use of marijuana to those who are 21 and older. This includes infused edibles. The legal limit would permit users to grow up to 12 plants, have 10 ounces kept at home and have 2.5 ounces on their person. The current violations involving marijuana that are considered crimes will be changed to civil infractions if this passes. “I have no doubt this is going to pass,” said Mayor Pro-Tem Sandy Whelton. The passing of Proposal 1 would allow for dispensaries, but still give jurisdiction to local governments on where dispensaries are allowed to set up shop. 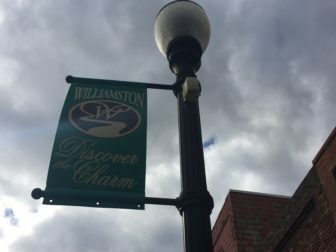 Williamston, according to the ordinance currently in place, would only allow for a dispensary to be located in the industrial park near the south side of town. Perrone said communities currently have to “opt in” to allow for the medicinal use of marijuana. If Proposal 1 passes, communities that want to ban must be proactive to ensure that it continues, so they can opt out of the allowance of recreational marijuana use. Perrone noted that many other communities are trying to get a head start by passing blanket prohibition of the drug, and that Williamston plans to do the same by staying consistent with the community’s views against the use of marijuana. “If we go ahead and pass this and opt out, I think the next step would be having planning look at the zoning,” said Mayor Tammy Gilroy.